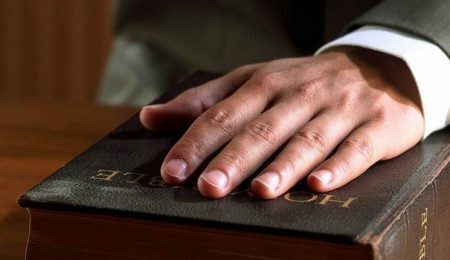 “Do you solemnly swear that you will tell the truth, the whole truth, and nothing but the truth, so help you God?” Nearly everyone recognizes this oath and when it is required … either in a court of law or in a pre-trial deposition. It is a vow that was and still is used by United States Courts (and in some fashion or another by the courts of many nations) for centuries, although the words may have changed and the so help me God unfortunately has been dropped by many jurisdictions. If you have participated in a trial—as a plaintiff, or defendant, or witness—then you can personally relate to the gravity of such a solemn pledge. At the very least you can picture a courtroom scene in some old movie. The witness takes the stand, raises his/her right hand and places their left hand on a Bible while taking this oath. However, the Bible is seldom used in today’s secular age. Before anyone can testify by sworn deposition or in court, they must pledge to tell the whole truth the entire time they are testifying. But why swear to it? Isn’t it expected that we would tell the truth in a court of law? Ideally, yes; in reality, no—not everyone will tell the truth even when testifying in court. Which makes it a crime with a potentially severe penalty (including possible prison time) to lie at a trial. Someone’s economic, social, political, cultural future could be at stake … even their very life. In fact, it is the 9th of the Ten Commandments that contain some of the absolute universal truths God gave to the Hebrews and the entire world. “You must not testify falsely against your neighbor” (Exodus 20:16). Although this commandment focuses primarily on the official setting of a trial, it was obviously a general decree applicable to any and all situations in the course of human affairs; as are all of the Ten Commandments and other Biblical principles pertinent to man’s accountability to God and interaction with each other. We’ve all lied, some more than others, but lying is wrong no matter how many times we tell a lie or the size of the lie. Normally, the bigger the lie the more serious the repercussions; but a lie is a lie, no matter how you slice the pie. We’ve all experienced adverse, even destructive consequences of lying, whether we lied or were lied to. Especially if, for example, a leader like Palestinian Authority President, Mahmoud Abbas—from the hallowed halls of the United Nations—accuses Israel of occupation and aggression, not much different than testifying in a court of law. But he wasn’t misleading Israelis, his avowed enemies, because they know better; he was deceiving both his people and the international community. Surely, he wouldn’t lie in front of such a revered international organization. But that’s exactly what he did, as covered in last week’s article that included excerpts from and commentary on Abbas’s speech to the UN. In addition to all-encompassing fabrications about Jewish occupation (in the negative connotation of the word) of Israel, Abbas specifically pointed to alleged Israeli violation of Temple Mount regulations (the status quo). It is primarily this lie that has provoked the recent lone wolf attacks by Palestinians on Jews, which has intensified even more this past week. In fact, Hamas has declared that the 3rd Intifada (uprising) officially began this past Wednesday, October 14th. Other Palestinian leaders have mimicked President Abbas’ accusations. For the Arabs in Israel, whatever their Palestinian leaders say must be true. Filthy feet? Do you see the senseless hatred in such malicious but childish rhetoric? Defend Jerusalem? From what? From Israelis reacting to and stopping the brutal unprovoked attacks by the Palestinians? Defend a city that doesn’t belong to the Arabs in the first place? One can only wonder if his law professors taught that murdering Jews was both legal and necessary. Or if Arab law students must take an oath that says, “I swear to tell lies, more lies, and nothing but lies about the Jews.” Of course I’m being sarcastic, but only in response to such a depraved award bestowed upon this murderer. 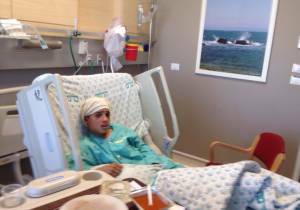 Photo of a 13-year old Palestinian boy who was wounded by Israeli security forces this past Monday after he and a 15-year old companion stabbed and critically wounded two Israelis in Jerusalem, one of whom was also 13 years old. PA President Abbas told the press that the Palestinian boy pictured above was killed in cold-blood by the Israelis. The boy is not only alive, he’s receiving care in an Israeli hospital! Apparently Abbas doesn’t care if hard evidence (photos) proves him wrong. Later, in today’s article, we’ll examine Israeli Prime Minister Benjamin’s (truthful) rebuttal in his address to the UN General Assembly on October 1st, the day after Abbas’ speech. But first, let’s discuss Truth itself, at least enough to grasp the essence and dynamics of such a provocative subject. “What is truth…?” (John 18:38). During the utterly unlawful and unjustified trial of Jesus of Nazareth, in which he was falsely accused by “witnesses” who lied, this was the facetious relativistic question that the Roman Governor Pontius Pilate asked when Jesus said: “…Actually I was born and came into the world to testify to the truth. All who love the truth recognize that what I say is true” (John 18:37, italics for emphasis). No less than four times in two short sentences, Jesus refers to truth. “Four?” you question. “I only see three.” Hey, I italicized the first word of Jesus’s reply just to give you a hint! The word actually or actual (real, the genuine article) is a synonym of truly (truth); it is another way to express or explain that what we’re saying or describing (perhaps testifying) truly happened. In this case, the Lord said that the main purpose he came to this world was to (actually) testify to the truth. With the stunningly significant reality that had Jesus not been given to the human race, we would never know or experience the truth of God’s plan of salvation! Nor really know who God is and what he’s actually like. I can confidently say that because of the many other (truthful) references to creation and redemption found in Scripture. Such as: “Christ is the visible image of the invisible God. He existed before anything was created and is supreme over all creation, for through him God created everything in the heavenly realms and on earth… For God in all his fullness was pleased to live in Christ, and through him God reconciled everything to himself” (Colossians 1:15-16, 20). In his remarkably profound declaration to Pilate, Jesus was referring to the two basic components that define and describe truth, as applicable to Christ himself and the whole world. First, truth applies to and actually is the reality of facts … what is said and done by God and by people. Those who testify must tell exactly what they saw and heard. To the best of their ability, nothing should be left out or embellished. Just the facts and nothing but the facts … the whole truth and nothing but the truth. Concerning Jesus, it was all the things he said and did publicly in front of all the people, including the Jewish religious leaders. Though he often spoke in parables, anyone who was sincerely seeking the truth would understand the parables. Those who had made up their minds to disbelieve and reject Jesus would not and could not comprehend, as they had already determined not to listen to what was true. They simply didn’t want to understand or agree. But he also spoke plainly by directly and meaningfully declaring and defining the truth. With such startling statements as, “I am the way, the truth, and the life. No one can come to the Father except through me” (John 14:6). Or the equally astounding assertion that he was one with and equal to God the Father, when he told the Jewish religious leaders, “I tell you the truth, before Abraham was even born, I AM!” (John 8:58). The next verse tells us that they immediately picked up stones to throw at Jesus. Why? 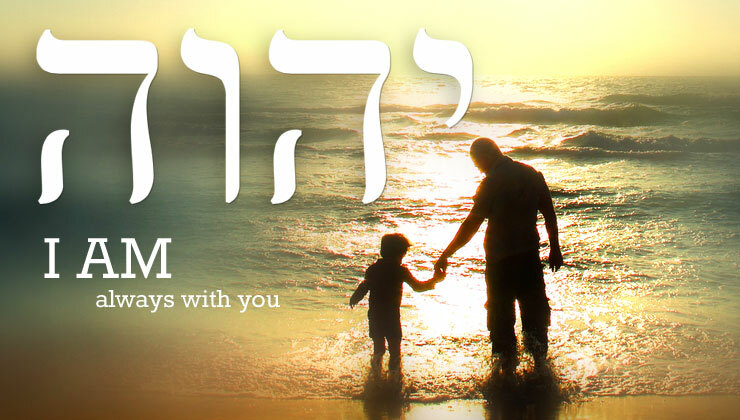 Because Jesus referred to himself by the holy, awesome name of God … YHWH, or with vowels inserted, Yahweh. The very name that God gave to Moses when Moses asked who was sending him to his people and to Pharaoh. Which leads us to the second crucial component of (real, objective) truth. In addition to truth equating to the factual reality of people, places, things, and events (what is said, what is done, when and where it happens), truth must also originate from a universal, independent, completely objective, and exclusive source. A Higher Court if you will. The only way truth can be exclusive and objective is that it must have a spiritually Divine source or reference point, because we are as much or more spiritual beings than we are physical. Absent a Supreme, Sovereign source and standard (God), all human ideas, philosophies, religions, thinking, viewpoints, and creeds are invariably subjective … subject to individual or group preference, flawed suppositions, and skewed opinions. These subjective vantage points even include right and wrong, good and evil. We humans can define practically anything the way we choose, to include morality; then challenge those who disagree to prove we’re wrong. If truth is not eternally exclusive and perpetually objective, then any and all beliefs can be true. Which they obviously are not. If for no other reason that each belief system claims that it possesses the only truth; or, at the very least, the main reservoir of truth. And for those who throw up their hands in cynical frustration and end up believing that there are several paths which lead to God, immortality, or paradise, I must bluntly respond: that is fatalistic nonsense. Not only is it a cop-out, it’s also a belief system to believe that all beliefs will eventually find God or some kind of Nirvana. If you say that fire will burn me if I touch it, and I say that it won’t; then one of us must be wrong. Of course you will be right, because you have an objectively true and verifiably consistent and constant reference point to confirm what happens when I put my hand in the fire. Both science and faith acknowledge these universal laws of physics, none of which are contradicted by Scripture. However, this same supernatural being (God) on occasion has set aside the laws of physics when and where he chooses. Which is why Daniel’s three friends survived a blazing furnace seven times hotter than normal, without so much as smelling of smoke! (Daniel 3). But the God of the Bible never abrogates his spiritual laws. Repeating for emphasis: Never. He stipulates that if we, for example, commit adultery, or steal, or lie, or put any other man-made gods or god-less systems in place of him, we’re also going to get burned … emotionally, physically, but most of all spiritually. Every wrong thing we do is sin, and Scripture tells us that the penalty of sin is both physical and spiritual death … eternal separation from God. Neither natural science nor religion agrees with this (Divine spiritual) truth, that all are born with a sin nature. Nor do they concur with another Spiritual Law that guarantees redemption from the penalty of sin including everlasting life to those who place their trust in Messiah Jesus. This legal promise doesn’t contradict the law of spiritual death for those who reject God’s Son as Savior. Rather, it simply transfers (exonerate) the person from one legal verdict of guilty (spiritual death) to another legal verdict of innocent by Divine pardon. So, who’s right? Are there Spiritual Laws established by the One God, the only God in the universe or not? If you say being a good person, doing good works, and keeping the demands of your religion is the only way to make it to heaven, and I counter with the Biblical claim that only faith in God’s grace (the gift of his son’s death on the cross for our sins) can save me, you, and the entire human race, then one of us must be wrong. There is, however, one common denominator for all religions; although this commonality is expressed in a maze of divergent dogmas … not including Christianity which isn’t a religion by definition. The common factor: All religions have a formal structure of self-worth, good works, and ritualistic performance of required duties in order for those who become members (usually through baptism or verbal vow of commitment to that religion) to be accepted by the hierarchy of that system or cult and/or by whatever god(s) they worship. Or in the case of Buddhism, the attainment of Nirvana. The God of the Bible is radically different from all other (man-made) gods of all religions or cults. Scripture is crystal clear that trust in the Lord (plus nothing else) is what redeems us. Beginning with Abraham’s explicit trust in God to leave his home and travel to a land promised by God to him and his descendants … the everlasting possession of Israel. God’s covenant with the Hebrews through Moses was a covenant of law and sacrifices to reveal in great detail the very existence, character, and plan of God for the Jews but also the entire human race. One in which the Jews were to be a source of light and salvation to the Gentiles. But this was a conditional covenant, and God’s chosen people could not, did not keep their end of the agreement. Although the Lord gave his people hundreds of years to try to keep his law, they could not, would not. Then and now, most Jews misunderstood the difference between (the purpose of) the law that told them what sin was and the sacrificial system that led to forgiveness of sin. Gradually, the sacrificial spilling of innocent (animal) blood for their sins became a ritualistic obligation in which they dismissed or overlooked its true significance, a shadow or picture of the great once for all sacrifice of Messiah, as stated in Isaiah Chapter 53 and other passages. For this reason, God told his people through the prophet Jeremiah (and Isaiah), that he would strike up a new covenant, which was accomplished when Messiah Jesus died on the cross, but then rose from the dead to seal and validate this everlasting covenant! Sadly, most Jews today still refuse to recognize or accept that covenant, with the remarkable exception of hundreds of thousands of Messianic Jews the world over. God’s plan of salvation and the eternal destiny of all who place their trust in the sacrificial death of Messiah Jesus as found in the Bible is TRUTH. His son, Jesus Christ testified to that truth. And what is (that) truth? The truth is that Messiah Jesus is the only WAY to God and the only source of LIFE everlasting. He is the very embodiment of eternal universal truth. Furthermore, he validated these claims with one incredible miracle after another, culminating in the greatest achievement of all … resurrection from the dead! Not only miracles by Messiah Jesus but mighty miracles by God the Father as recorded in the Old Testament. Not only miracles, but the irrefutable historical evidence of fulfilled prophecies … hundreds of them. Time and time again, God challenges other religions, gods, prophets, and religious leaders to predict the future with 100% accuracy or perform the astounding miracles that only the true and living God can do. Down through the ages there has been no response from those so-called gods or prophets. They won’t respond, because they can’t make prophecies come true with 100% accuracy, not even 10%. So, they won’t predict the future, and they can’t perform miracles. That, my friend, is TRUTH. Objectively and exclusively found in no one else except the God of the Bible, which is the very Word of God. Proven by the mighty miracles of our God, and the amazingly detailed fulfillment of Biblical prophecy, which are also miracles. There is truth that applies to the physical world and truth that applies to the spiritual world. “For God loved the world so much that he gave his one and only Son, so that everyone who believes in him will not perish but have eternal life” (John 3:16. Exclusive truth with an inclusive invitation of salvation and everlasting life to all who will believe and receive Jesus as Savior. It doesn’t get any better than that! Unless you prefer deceit, half-truths, or lies? But I’m thinking that you want what the Lord says we all desperately need: To be made right with God by his righteousness freely given to us. “For everyone has sinned; we all fall short of God’s glorious standard. Yet God, with underserved kindness, declares that we are righteous. He did this through Christ Jesus when he freed us from the penalty for our sins. For God presented Jesus as the sacrifice for sin. People are made right with God when they believe that Jesus sacrificed his life, shedding his blood…” (Romans 3:23-25). 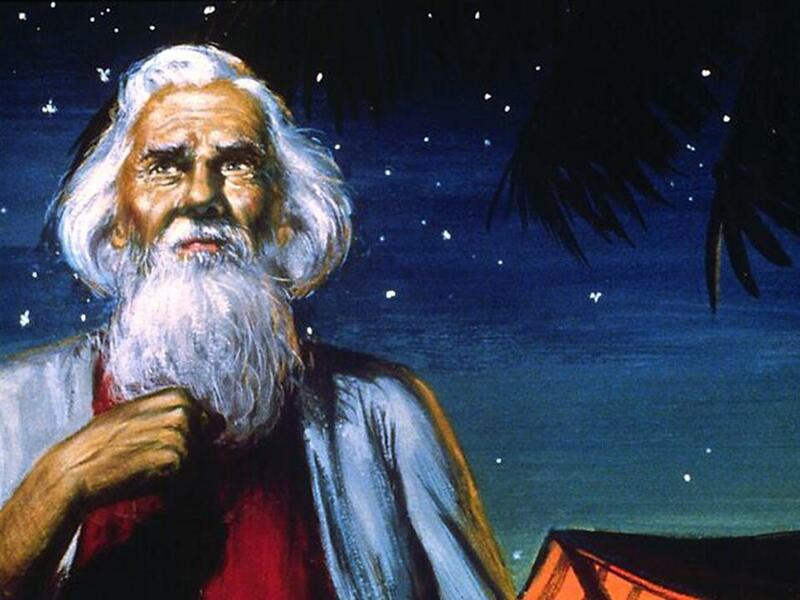 Just ask Abraham, who was made right with God long before the law was given by God through Moses. “And Abram believed the Lord, and the Lord counted him as righteous because of his faith” (Genesis 15:6). Messiah Jesus sacrificial death on the cross retroactively applies to Abraham, to all peoples, Jew and Gentile alike, before and also after Messiah’s birth, life death, and resurrection. That is the Truth, the whole Truth, and nothing but the Truth, so help us God. Listen to these amazing words from God recorded by the prophet Isaiah: “Come now, and let us reason together, says the Lord, through your sins are as scarlet, they will be as white as snow; though they are red like crimson, they will be like wool” (Isaiah 1:18, NASB). This is God’s invitation to every man, woman, and child; not to check our brains at the door that leads to God’s plan of salvation. But to use our reason to comprehend that God and God alone can remove the stain and guilt of our sin(s). To instantly turn red into white the moment we agree through sound reasoning that he can and will save us. Then follow what we know in our heart to be true. This isn’t blind faith: it’s faith in what God through his Son has done what we could not do for ourselves. “If you confess with your mouth that Jesus is Lord and believe in your heart that God raised him from the dead, you will be saved. For it is by believing in your heart that you are made right with God, and it is by confessing with your mouth that you are saved” (Romans 10:10-13). I consider myself to be pretty much as logical, rationale, and reasonable as the average person who possesses all three of these traits. So, if a man performs multiple miracles including healing of diseases and deformities, feeds thousands with a few fish and loaves of bread, or walks on water (overcoming the laws of nature), I’m going to stand up and take notice. 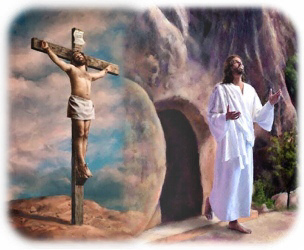 If this same man who claims to be God says both he and God are One; and they love me enough for this Son of Man to die on the cross in my place and promises me a complete pardon if I believe this; and then rises from the dead to prove that he is who is says he is, here’s what I’m going to do. I’m going to believe him. I’m going to trust him with my destiny. In fact, I’ve already have … many years ago. I’ve chosen to believe and receive Messiah Jesus, who is THE TRUTH. Which is exactly what Christ Jesus said that he is. As well as the Way and the Life. *A Personal Note: I’m guessing by now you’ve realized that we didn’t get to Benjamin Netanyahu’s address to the United Nations, as I said we would earlier in the article. Or if you didn’t catch it, then shame on you … because you weren’t paying attention. Just kidding! And, yes, I could have (which I’ve done before) simply deleted that paragraph or restated it to indicate it would be the subject of next week’s article. But I’m doing it this way to share something I haven’t shared with readers before. It has to do with why some Eye of Prophecy articles are in two or more parts, i.e. Part I, Part II; or the same topic continued in the next article under a different title. As would be expected, sometimes I plan ahead for multiple part articles knowing the subject will be too long for just one article. But that occurs only about half the time involving multiple part articles. The other half of the time, I don’t realize how long the article might be until well into or almost done with it! That was the case this week. Consequently, next week’s article will primarily be about Prime Minister Netanyahu’s UN speech on October 1, 2015.